Zoe and Max - a couple in love. On the eve of Halloween, they quarreled concerning the costumes they will wear. 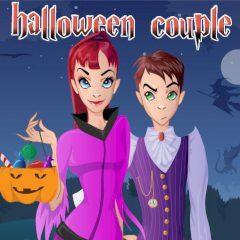 Help the lovers to make up and to choose costumes, make it so that the the pair would look impressive and unforgettable!